In the early 90’s Snapple became a beverage market success. Their tea and fruit blends (specifically peach tea and lemon tea) were so good that beverage manufacturers were asking flavor companies to create knock offs of the popular beverages. 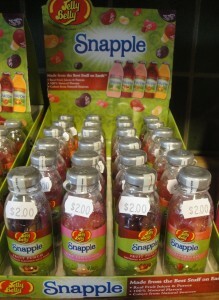 At the time, Snapple was unique enough to use fresh brewed tea along with the best natural fruit flavors on the market. 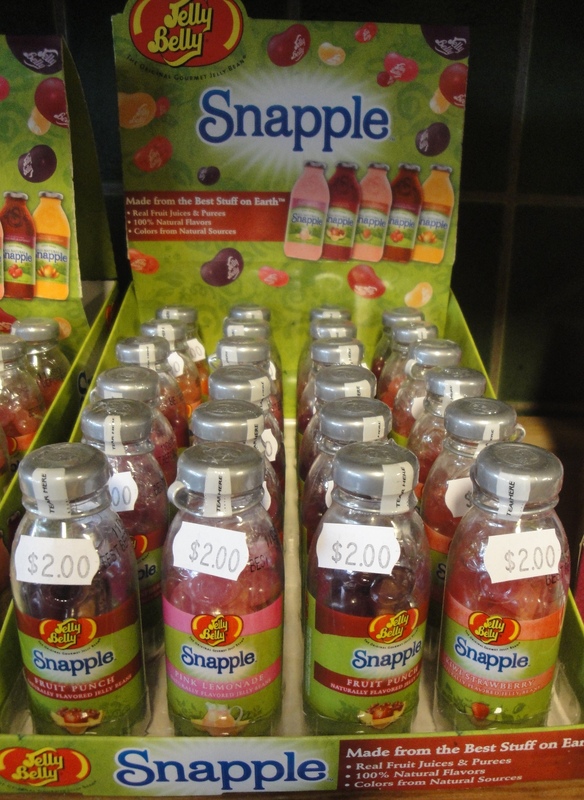 Snapple didn’t stop with teas,though,they launched quirky flavors like strawberry-kiwi and mango madness. They were creative with their flavors and they were fun. They had silly commercials and funny sayings on the lids. Now it is 2012 and I do not drink Snapple regularly. Snapple was a phase that I out grew. 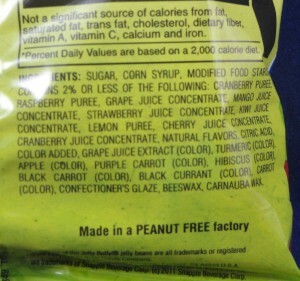 Occasionally, I see a new flavor and give it a try, but I don’t consider it a necessity like I did in the 90s. My daughter, who is 9, though, discovered Snapple Kiwi Strawberry drink and begged me to buy her some. She loves Snapple and was very excited about their new co-branded launch: Snapple Jelly Belly gourmet jelly beans. 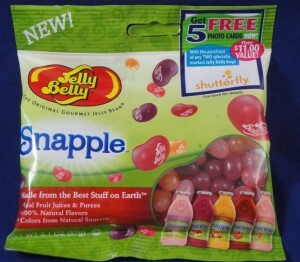 The jelly bean flavors are Fruit Punch, Kiwi Strawberry, Pink Lemonade, Mango Madness, Cranberry Raspberry. 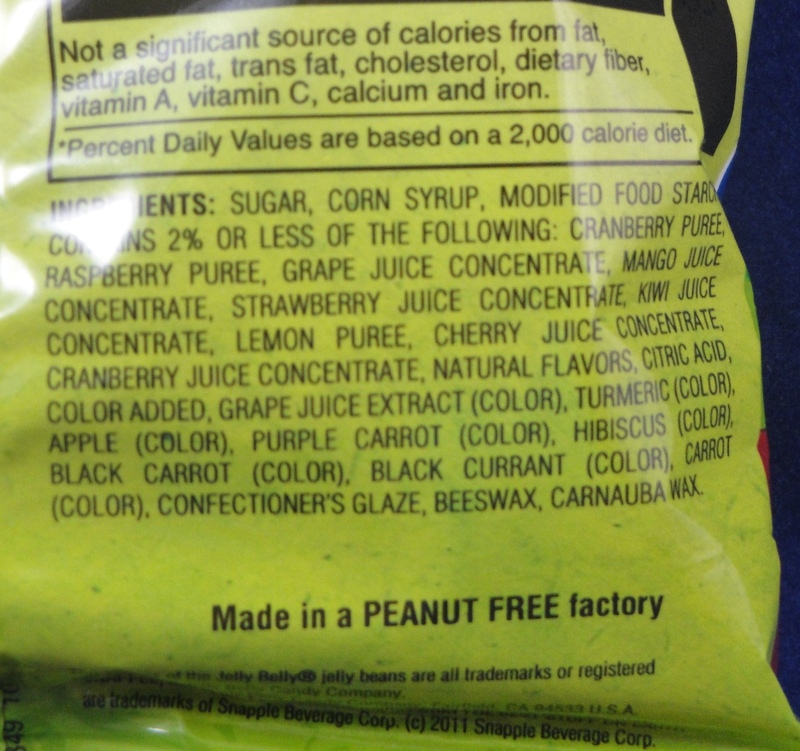 All flavors and colors in the jelly beans are natural; following Snapple’s motto “The best stuff on Earth”. My daughter and I agree that the Kiwi Strawberry flavor is the best with a fruity, jammy and sweet berry flavor. Cranberry Raspberry is our second favorite. Pink Lemonade is refreshing, tart and well-balanced, Mango Madness is our least favorite (bland) and Fruit Punch is a little too floral. 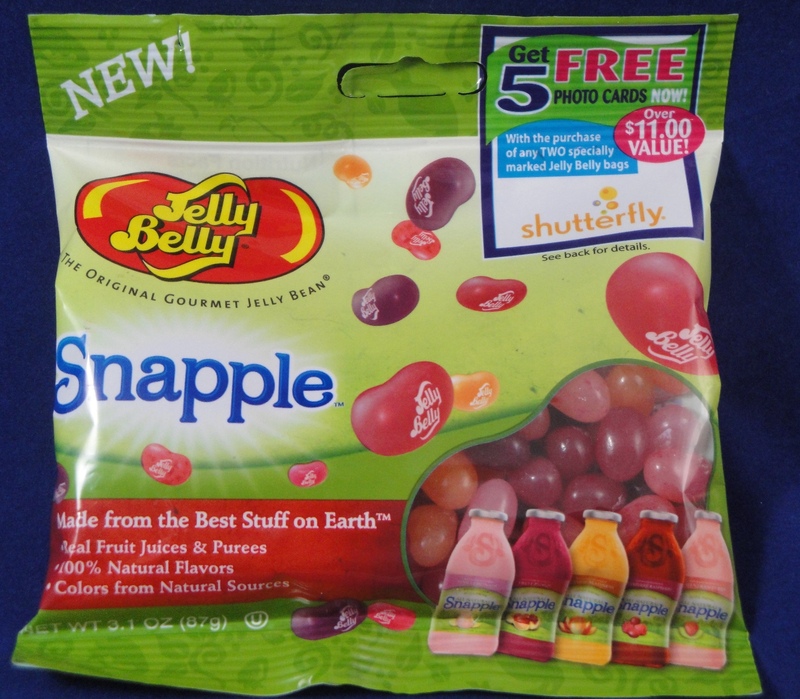 Snapple and Jelly Belly did a great job co-branding their products and I believe extended the brand presence of Snapple to the new generation, pre-teen. My daughter loves these cute Snapple Jelly Belly bean jars and I suspect Snapple Jelly Belly jelly beans will be a co-branding success story.